Montserrat is an area of breathtaking natural beauty, featuring a natural park, a unique museum, and the Holy Shrine dedicated to the Virgin of Montserrat, the patron saint of Catalonia. The Tot Montserrat ticket offers great savings on transport, culture and gastronomy so you can enjoy your visit to this iconic site. With the Tot Montserrat ticket you'll have everything you'll need to enjoy a day of nature, art and spirituality. 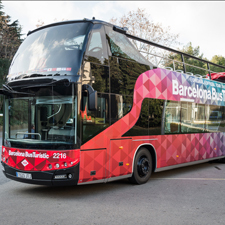 Hop aboard the train that will take you to Monistrol de Montserrat in Plaça Catalunya which is served by the metro network. 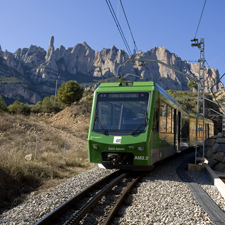 Once you reach the foothills of Montserrat you decide if you want to get to the top on the rack railway, the Cremallera, which opened in the 19th century and has recently been refurbished, or by the cable car, the Aeri, which scales gradients of up to 45%. 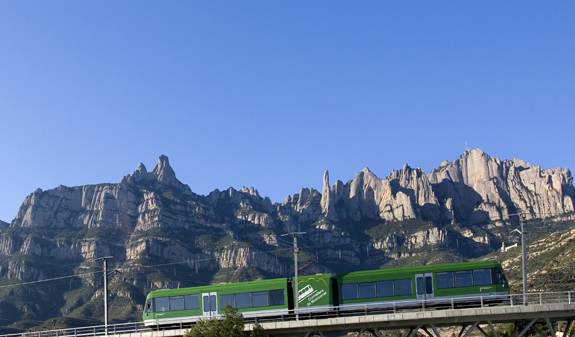 In both cases, you'll enjoy a journey with spectacular panoramic views until you get to Montserrat. 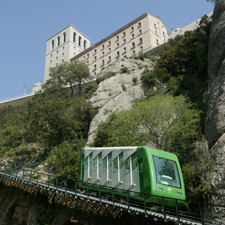 If you want to go even higher up, you'll be able to enjoy unlimited rides on the Sant Joan funicular. Once on board, you'll see how far the horizon stretches from the Pyrenees to the sea. 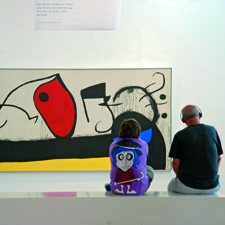 You'll be able to visit the audiovisual gallery, the Espai Audiovisual, where you can take a virtual tour of the Benedictine monastery, and the museum, the Museu de Montserrat, where you'll be able to see works by Dalí, El Greco, Miró, Picasso, Tàpies, as well as treasures of the Ancient Orient. And to complete your experience, what could be better than a tasty meal featuring typical Catalan dishes at the Montserrat restaurant? Round trip metro ticket from/to Plaça Espanya. Round trip train ticket from Barcelona-Plaça Espanya to Monistrol de Montserrat. Admission to the Museu de Montserrat. Meal in the self-service restaurant at Montserrat. FGC (Catalan Railway) station in plaça Espanya, daily from 8am to 2pm. You must exchange the printed voucher at the specified collection point in order to receive the Tot Montserrat card. You will not be permitted to use the services listed without the Tot Montserrat card. No refunds will be issued if you have exchanged the voucher for the Tot Montserrat card. The metro, rail and rack railway stations are accessible to people with reduced mobility and other disabilities.